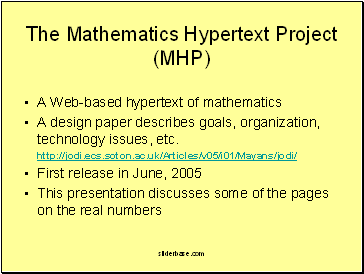 A design paper describes goals, organization, technology issues, etc. 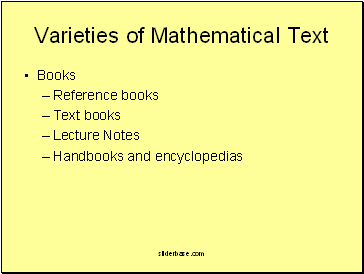 We aim for a “comprehensive introduction" to the real numbers. 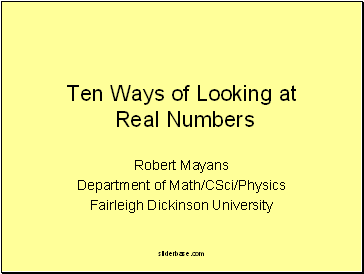 Real numbers are everywhere dense in mathematics. 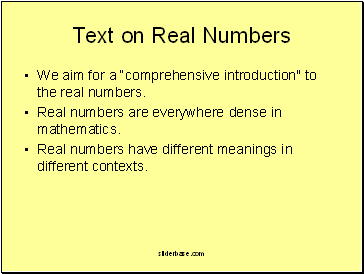 Real numbers have different meanings in different contexts. 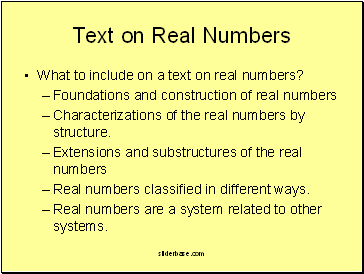 What to include on a text on real numbers? 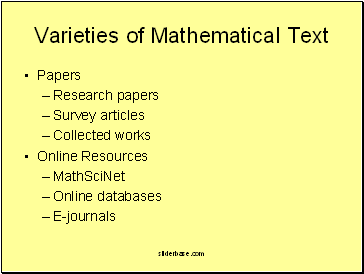 Characterizations of the real numbers by structure. 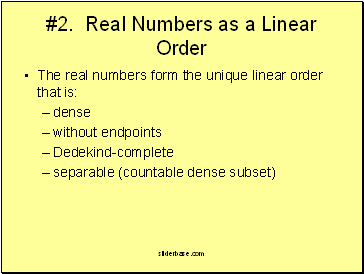 Real numbers classified in different ways. 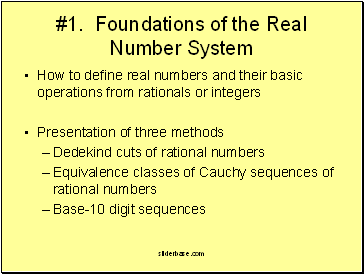 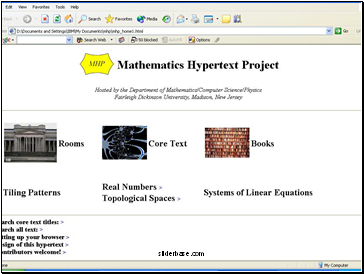 Real numbers are a system related to other systems. 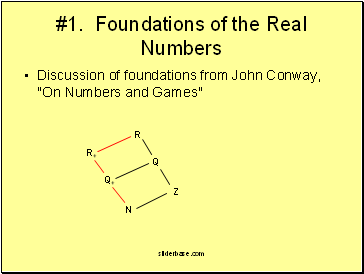 Discussion of foundations from John Conway, "On Numbers and Games"